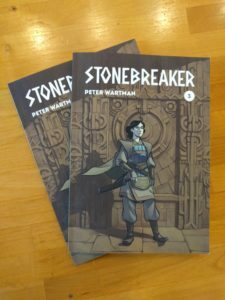 I don’t have any news about when the webcomic will be starting up again quite yet (I just finished my work on Avatar and I’m still figuring out my next year), but I wanted to let you know that there’s a new print edition of Stonebreaker coming out from Odod books! 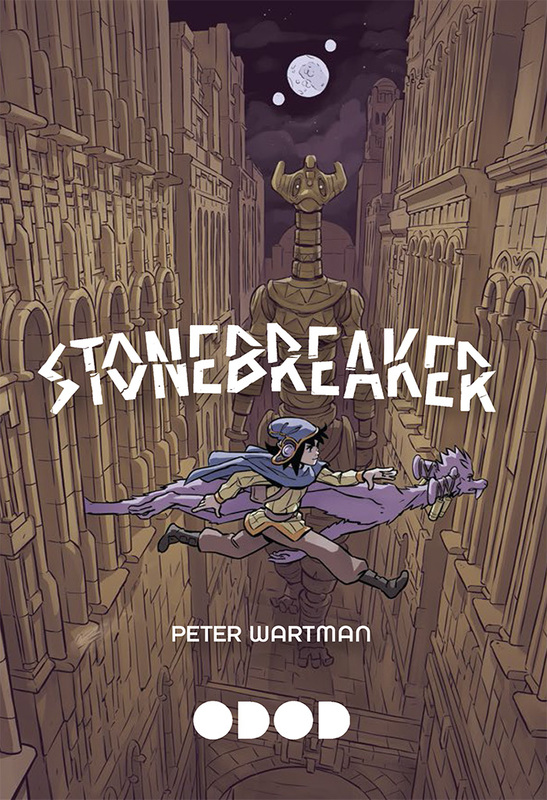 You can preorder it now, and it should be arriving this June. This is a collection of the first three books I’ve self published (which contain the prologue and first four chapters of the story — yeah, it’s a little confusing), but now with much higher-quality printing, a brand-new cover, and cool spot colors. Go check it out! 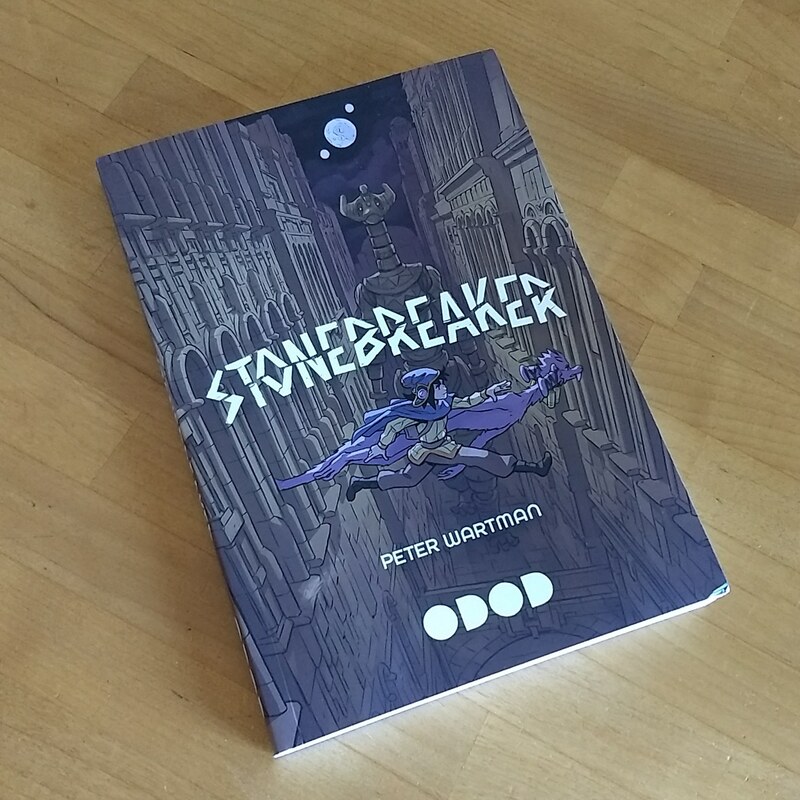 I’ll have more news about the future of Stonebreaker soon, so keep checking back! Thanks for sticking with me. If you want a print edition of Stonebreaker, you can pick it up from my store now! The book is 72 pages long, and contains the prologue and first chapter from the comic. Its been edited and improved from what I’ve posted online, and I think the story flows quite a bit better. I know a few people were interested in international sales, but, unfortunately, this is US only for the moment. Hopefully this will be very temporary — I just need to figure out some shipping costs. 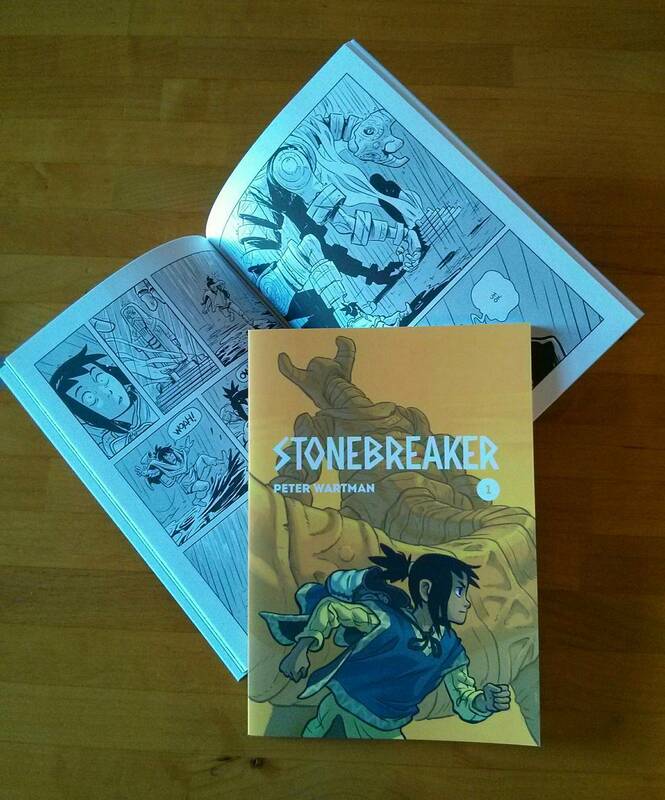 5 Comments on Stonebreaker: Now in Print! 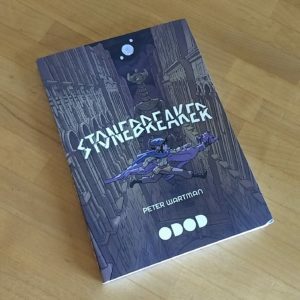 Stonebreaker Part One just arrived! 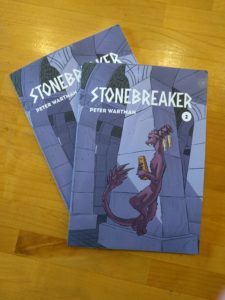 Part One contains the prologue and first chapter, and, as I did with Over the Wall, I’ve touched up and reworked a lot of the pages from their online versions. 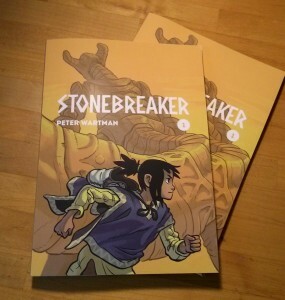 I’m super excited to finally have this in print. 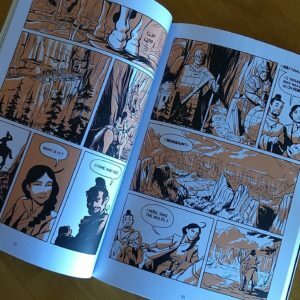 I love the web, and I love webcomics, but comics still feel best when you have real, physical pages to look at and turn. All this time and effort I’ve put into making this thing feels so much more concrete now that I can hold it in my hands. If you want a copy, I’ll be selling them at Autoptic in Minneapolis, MN on August 8th and 9th. I think Autoptic is going to be awesome, so you should go regardless, but that’ll be the first place to get these books. 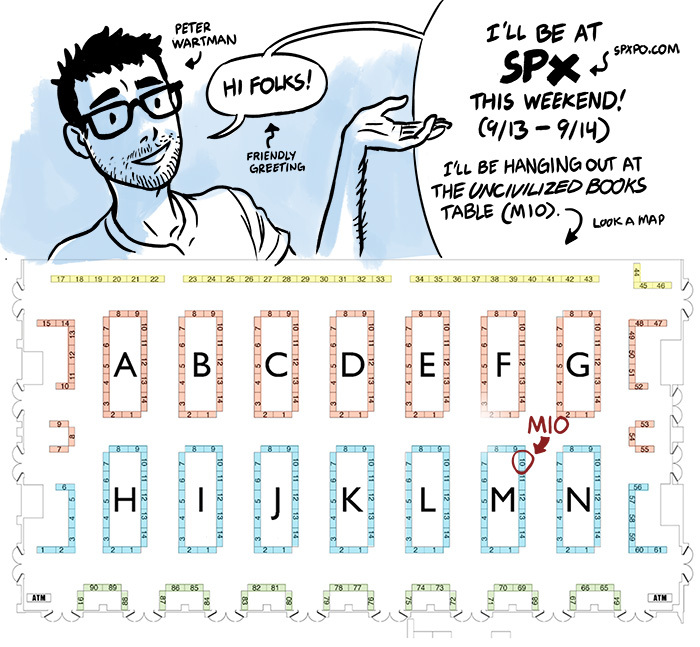 I’m heading up to Toronto this weekend for TCAF! 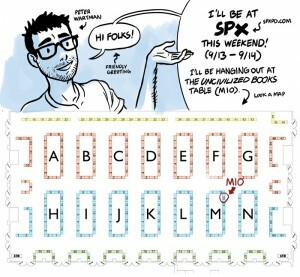 I’ll be on the first floor at table 139 with copies of Over the Wall and a few other little things. Come on by if you’re in the area!